Find the cause of your health and well-being problems. Are you suffering from a symptom and getting no relief? Are you feeling less than your best and can't work out why? Is your child facing health or emotional challenges and you aren't sure how to help them? 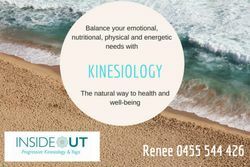 From her beautiful treatment home clinic in Caloundra West on the Sunshine Coast, Renee offers holistic Kinesiology treatments for all ages. Renee has a passion for helping families to be as happy and healthy as possible. Using gentle muscle testing, which is ideal for Adults, children and babies, Renee is able to help uncover the cause of your symptoms which may be physical, emotional, nutritional or energetic. A personalised treatment plan is then developed which is designed to target the cause and help you or your child to heal naturally and feel happy and healthy. 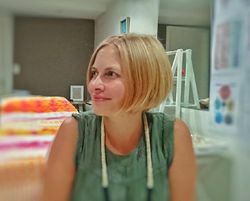 Renee uses all natural remedies and techniques including massage points, flower essences, meridian work, essential oils, nutrition, affirmations, yoga, emotional freedom technique, meditation and many more to revitalise your health and well-being.